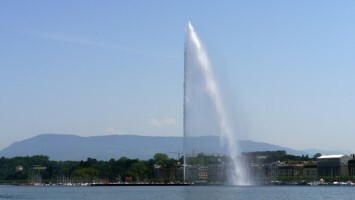 Compare lower cost car hire at Geneva Airport, Swiss Side. Cheaper SUV, MPV & Minivan rental in Geneva and GVA. Get good quality, but cheaper, car hire Geneva Airport in Switzerland. Geneva Airport also has a French side as well as a Swiss side. We can arrange estate car rental, SUV and MPV hire on both sides of the airport. The following companies have discounted their usual prices when you book through us:- Alamo/National, Avis, Budget, Dollar, Europcar and Sixt. You get the same vehicle and quality of service, but just cheaper. Only Alamo/National do not have their cars at the airport. The fuel policy for all of them is to collect full and return full. All the major car rental companies have desks located conveniently inside the arrivals hall at Geneva Airport Swiss side. Our car hire at Geneva Airport Swiss Side caters for skiing trips. We have Mono space and MPVs plus a good selection of estate or station wagon car categories. Some are as little as 15 Euro per day in low season. Get that bargain SUV, MPV or 7, 9 seat minivan for ski season, today. Easier, and cheaper, Geneva Airport estate/wagon rental. Good saloons/sedans and hatchbacks at GVA, Swiss side. The price we quote includes Geneva Airport surcharges, VAT, Road taxes, third party liability insurance, theft protection, a collision damage waiver with unlimited miles. If you think you might have trouble finding your ski resort, simply add a request for a multilingual sat navigation system to your car rental booking, so you will never get lost in a snowstorm! For Geneva Airport in winter, we have all the extras needed to make it a hassle free ski trip with ski racks, snow tyres and snow chains are all bookable in advance. Being located on the Swiss border, Geneva International Airport has a Swiss side and a French side. To enter into France turn left, just in front of passport control and follow signs to the French sector. When returning the car to the Swiss side, follow motorway signs to Geneva Airport, then follow signs to car park P51, but remember to get a re-fill before return. Use the credit card pay station. IATA code for Swiss side is GVA and French side is GGV. Fill up the car with petrol, or diesel, then drive out and follow signs for theP51 entrance and car rental returns. A lot of ski holidays start in Geneva. 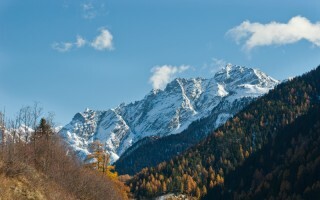 Most skiers, and snowboarders, will be booked with a tour operator, but more and more are becoming independent in their travel arrangements. Geneva is ideally situated for arranging MPV rental, or train travel to the Alpine ski resorts. Cars hiredin the winter season come with winter tyres, snow chains etc, for a small supplement paid locally. One ways to such places as Verbier and Zermatt are allowed. Ski racks are an optional extra. 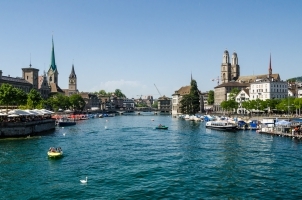 Looking for car hire in other Swiss locations?.